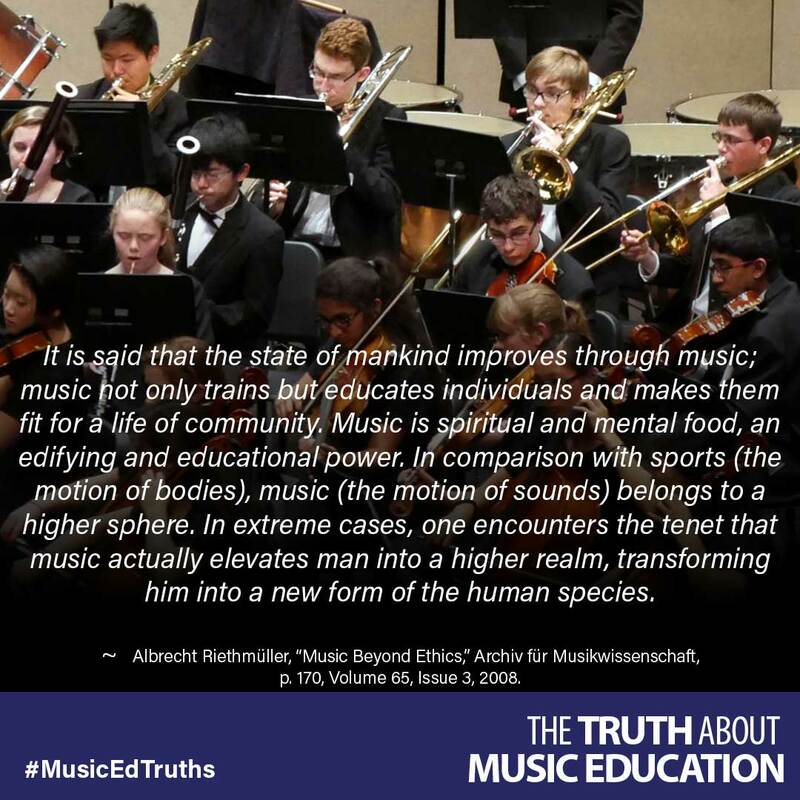 It is said that the state of mankind improves through music; music not only trains but educates individuals and makes them fit for a life of community. Music is spiritual and mental food, an edifying and educational power. In comparison with sports (the motion of bodies), music (the motion of sounds) belongs to a higher sphere. In extreme cases, one encounters the tenet that music actually elevates man into a higher realm, transforming him into a new form of the human species. ~ Albrecht Riethmüller, “Music Beyond Ethics,” Archiv für Musikwissenschaft, p. 170, Volume 65, Issue 3, 2008.